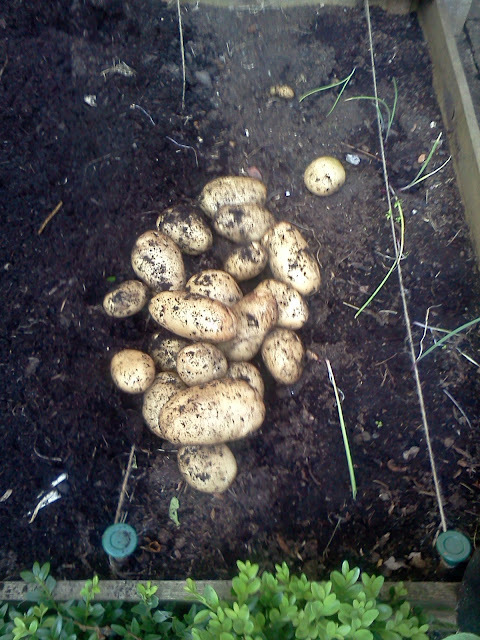 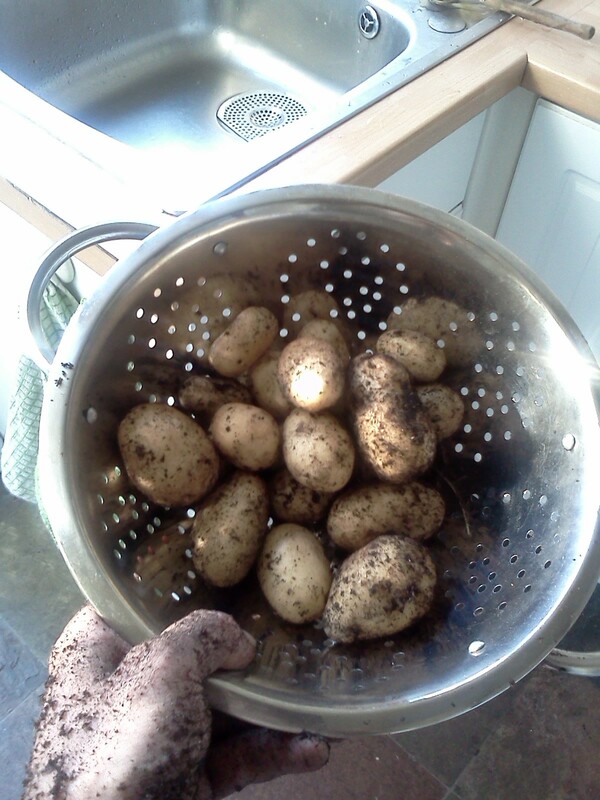 Despite the never ending 40 odd days of rain endured my little veg patch has managed to so far yield some very tasty potatoes (that I had for dinner tonight! 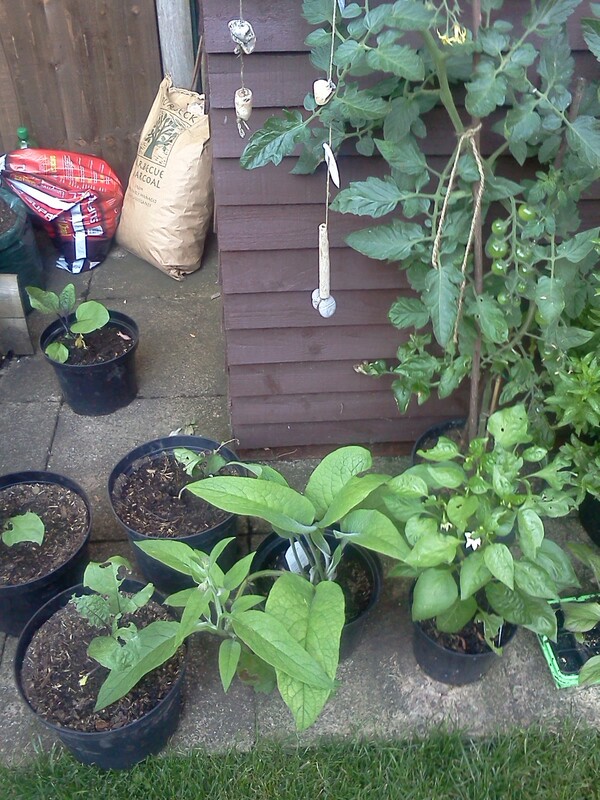 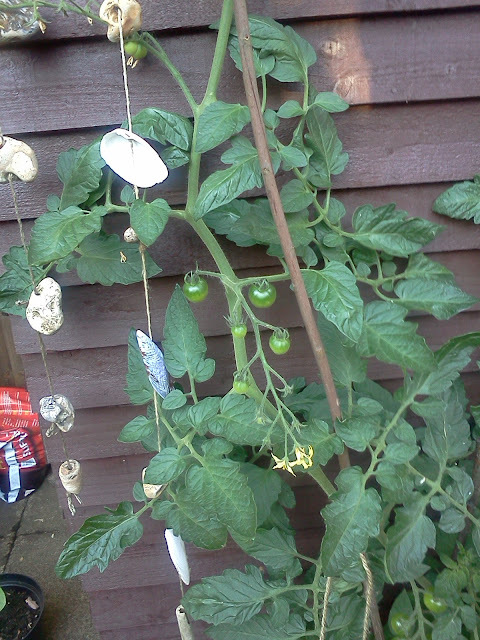 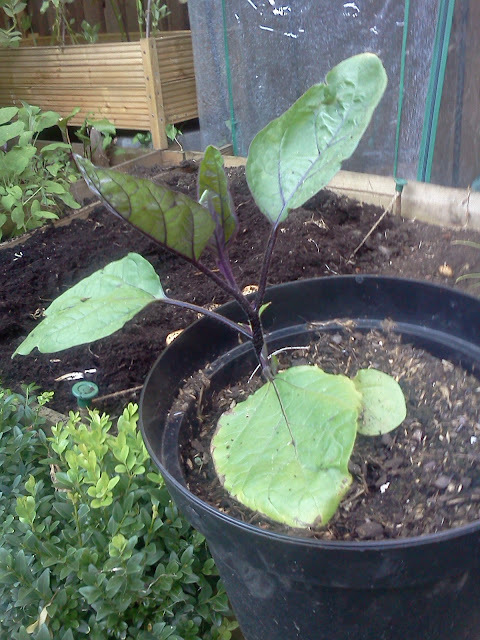 ), with the promise of broad beans, aubergines, french beans and tomatoes on the way! 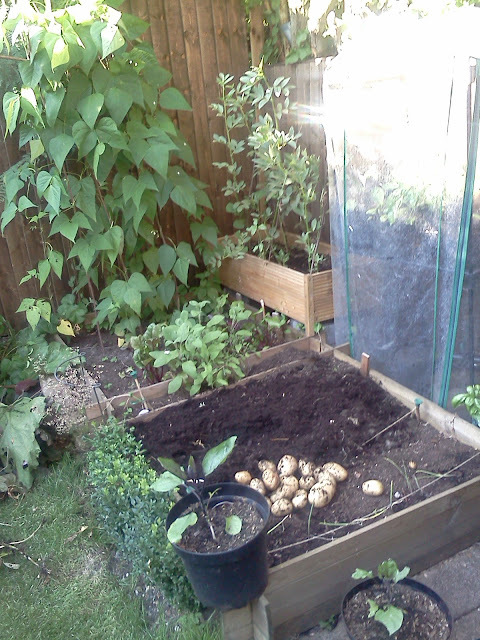 Hooray for the return of the sun!